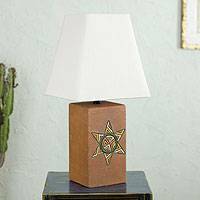 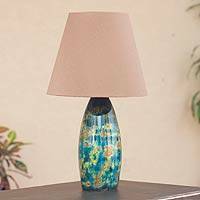 If you need a quick update for the home or the office a ceramic lamp can easily fit the bill and make a wonderful addition to all types of interior spaces. 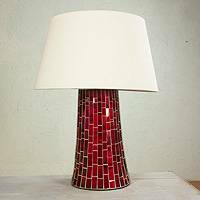 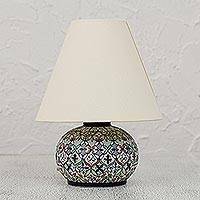 NOVICA’s Ceramic Lamp Collection offers gorgeous pieces with intricate designs and modern styles such as the lamps by Mexico's Garcia Ochoa Family. 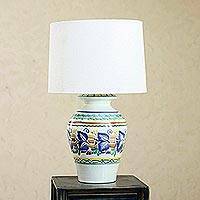 They shape the base with ceramics and use their unique handcrafted methods to feature elegant diamond motifs . 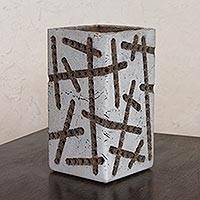 After glazing with natural oxides, each piece is burnished by hand with a smooth stone for a beautiful finish.